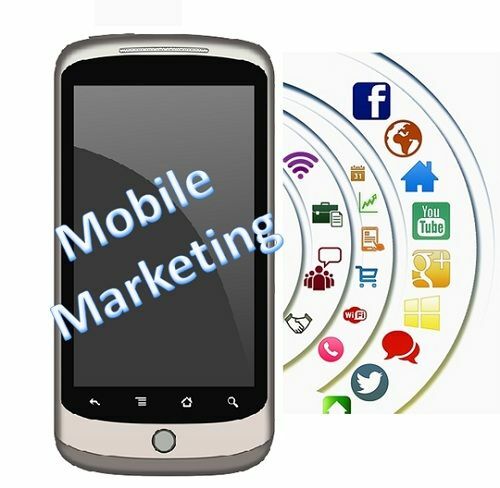 Definition: The Mobile Marketing refers to the marketing activities undertaken to reach the consumers directly via mobile phones, connected to a ubiquitous network, to which the consumers are frequently connected. With the advent of the smartphones, well compatible with the internet connection, the companies have started to send the videos, audio clips, images of their products to consumers, so as to enable them to have a feel of the product. Short Message Service (SMS): The SMS or text message is the most common and the traditional method of mobile marketing wherein the customized messages according to the customer’s demographics are sent to their personal mobile phones. Multimedia Message service (MMS): The MMS is again one of the traditional forms of mobile marketing, wherein the media or images of maximum length can be sent to other mobile phones without any internet connection. The MMS can be sent to any mobile phones provided their handsets are compatible with this message service. Quick Response Codes (QR): The QR code is a mobile application that can be downloaded on the smartphones through which the consumer can read the barcode to know about the details of the product. The QR codes are the latest means of mobile marketing that redirects the consumer directly to the website once they scan the QR code given online. Also the text, mobile numbers, addresses, etc. can be stored in the QR code, such that, the same can be sent to others who can scan it using their app, thereby limiting the sending of business cards. Location Based Services: With the use of GPS, the companies can track the location of the mobile users, and then send the messages that are customized according to the location in which they reside. Push Notifications: The Push Notifications are usually the text messages which are sent by the server and do not require any specific application to be open on the mobile phone to enable these push notifications. The users can opt for the push notifications at the time they install any services and can manage these pop-ups according to their convenience. Mobile Advergaming: This is one of the latest methods of mobile marketing wherein the companies make use of video games to promote their products and services. The film companies are the ones who make a much use of the mobile advergaming, such as spider man, iron man, resident evil, etc. are some of the movies on which video games are developed and gained much popularity among the youth. The mobile marketing is the extension of the Internet Marketing and is sometimes called as Wireless Marketing. Through this method, the companies can reach a large audience at a much less cost and can have an effective promotional activity.